Inter Miami joins the likes of Sporting Kansas City, D.C. United, and, the nadir of the form, Real Salt Lake as MLS franchises that seem to have been named after consultation with the real fútbol version of the Wu-Tang Name Generator. “Inter Miami” of course conjures images of “Inter Milan,” which we’d wager is no accident. And as grating on the ears as it will be to hear people talking about “Inter” and be referring to this unholy bastardization of a league, the Miami team’s name doesn’t even get its cosplay right. First of all, the word order doesn’t line up. The team is called Inter Miami CF, but its full name is Club Internacional de Fútbol Miami. The team adopts Spanish language conventions when it wants to, but not when it would get in the way of piggybacking off of its more famous namesake. Second of all, fans of the Italian team don’t even like the nickname “Inter Milan.” That means Inter Miami’s name is based of an Anglicization of the Italian Inter’s name that real fútbol fans would never even say themselves. The Miami franchise is apparently trying to pretend the name is a nod at Miami’s majority-Hispanic population, but that just brings us to the name’s third flaw: the “Inter” construction isn’t even a Hispanic one. When one refers to “Inter,” one is usually referring to either the Italian Internazionale Milano or the Brazilian club Sporting Club Internacional. As far as I know, there aren’t any prominent “Internacionales” in the Spanish-speaking world, which further undermines Inter Miami’s bogus claim of authenticity. On top of that, Miami could’ve even given themselves a name with a European feel and done so in a totally legit manner. Soccer clubs around the globe have what on paper seem to be bizarre, culturally anomalous names that in fact reflect the game’s rich, migratory history. From Athletic Club in Spain to AC Milan in Italy to Newell’s Old Boys in Argentina, there are scores of clubs around the world that were started by traveling Brits who’d brought England’s game abroad and then named their clubs in distinctly English fashion. Due to Beckham’s presence as the face of Miami’s ownership group, the team would’ve been perfectly within its rights to call itself Miami United or something similar, something that would’ve been an actual reflection of the team’s history and heritage. 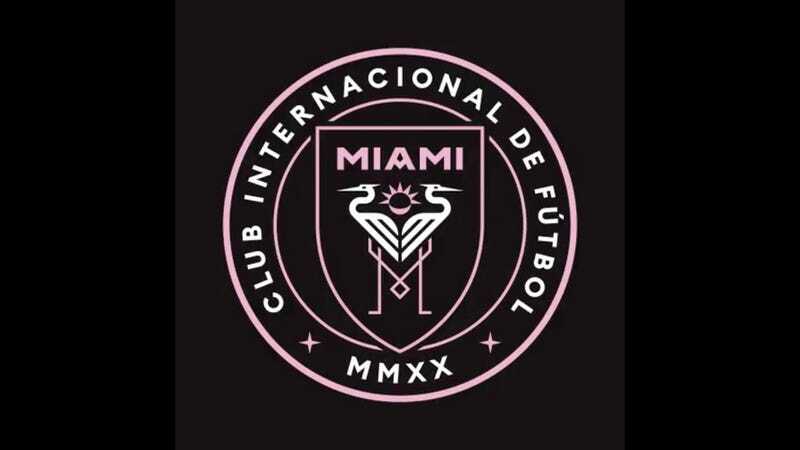 Instead, when given the opportunity to give itself a name reflective of real tradition, Inter Miami resorted to a simulacrum of “tradition” because, who knows, maybe it tested better in a focus group or something. How MLS of them.